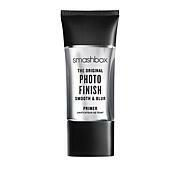 Smashbox Photo Finish SPF 20 Primer - 1 oz. 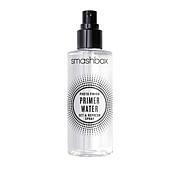 Invisible face primer gel that protects with broad-spectrum SPF 20, while temporarily smoothing skin for easy makeup application while helping to reduce the look of aging. Apply a sheer layer with fingertips before you start your makeup. For sunscreen use: apply liberally and evenly 15 minutes before sun exposure; apply to all skin exposed to the sun; reapply at least every two hours; use a water resistant sunscreen if swimming or sweating. Sun protection measures: Spending time in the sun increases your risk of skin cancer and early skin aging. To decrease this risk, regularly use a sunscreen with a broad spectrum value of 15 or higher and other sun protecting measures including limit time in the sun, especially from 10am to 2pm; wear long sleeved shirts, pants, hats and sunglasses. Ingredients: Formulated without Parabens, Phthalates, Oil & Fragrance. 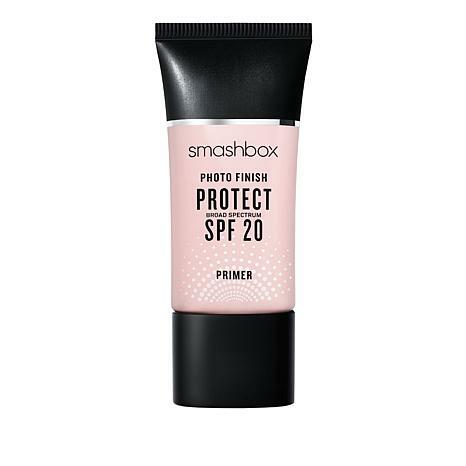 I purchased this primer in hopes that it would be just as good as my favorite discontinued CoverFX SPF primer; I made a good choice, I am very happy with this purchase!